Stumbled upon this proposal for a new train system known as KenEX that would link Grays in Essex with Kent - including proposed London Paramount developments and Ebbsfleet Garden City. It's interesting - and offered as an alternative to the Lower Thames Crossing proposed east of Gravesend. Figures state the new transit system could divert 10% of traffic. This compares to some stark figures included in the article that tell us that the X80 bus route between Lakeside and Bluewater only diverts 1% of all traffic in the area. 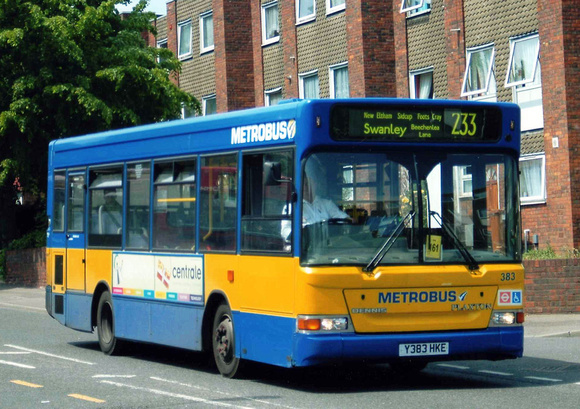 More must be done to combat public transport in areas - especially those like Kent - and even though this KenEX proposal is more than likely not going to happen - it does have potential. Oh dear. I switched off when I saw the rough squiggly lines on a badly drawn "map" and then my brain shut down completely when I saw BML2. The random doodlings of someone who likes trains and has an over inflated view of their own ideas. If there was such a demand for cross river travel then a railway line would do much better than a tram route as it would allow a variety of stock to use. Ironically we have a railway line from Essex to Kent - it's called HS1. If anyone was so minded you could stick a station at Purfleet but no one was and no one seems to be now. Making comparisons with the X80 are unfair as it gets badly affected by traffic. There is no bus priority on the Thames Crossing. It is also really a shoppers express service and it's run by a relatively small company that has to be careful how much financial risk it takes on. You could run a high intensity bus service over the Thames Crossing but you would need to reduced the lanes allocated to other traffic and you need access to Fastrack south of the Thames to access areas of demand and to give competitive journey times. North of the Thames is rather harder as the rail network is disparate with relatively low frequencies and the local Thurrock area is not hugely populated. It has pockets of housing and a diffuse set of transport demands - just look at Ensign's network. Nothing runs at very high frequencies - it's all designed to be reasonably attractive for those who have to use buses but also relatively low cost to operate. 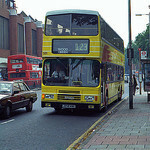 Buses in Thurrock have been like that decades. I cannot see, as things stand, a tram network working. Ideally you'd build both this and the Lower Thames Crossing simultaneously - but I suspect the Kent locals would much prefer the LTC. I guess if building an immersed tunnel and then constructing few miles of approach roads for Lower Thames crossing is being done anyway, then adding a railway track alongside is a marginal extra cost, in same way making it 3 lanes each way instead of 2 is a marginal extra cost. However, if building something as a stand alone project, it would be totally unaffordable, and would have all the trouble of planning and land acquisition. Similarly later trying to widen things if provision hadn't been made would cost lot more than doing it in one go. I like the idea but I just can't see it happening.